Knowledge Base :: Amber Baby Teething Necklace FAQ - Amber Jewelry Store | Online Gateway to Amber Necklaces, Bracelets, Prayer Beads, Baby Teething Necklaces, Pendants, Amber Stones with Insects and Amber Earrings. People do not know much about what an amber teething necklace is or can do, so here are a set of frequently asked questions and responses. 1) How does an amber teething necklace work? Baltic amber became a reality 50 million years ago, but still some parents do not know if it can truly relieve the pain of teething babies . This necklace has a soothing and calming effect thanks to its natural amber composition. It reduces redness in the cheeks and has anti-inflammatory properties. Of course, they might not work for all babies. Irritability caused by factors such as digestion problems, allergies and other kinds of sensitivities which are usually attributed to teething may not improve even after using an amber teething necklace. Either way, natural remedies such as this one are preferable compared to chemical and artificial ones. It also looks great on your child’s skin and it makes for a treasured keepsake. 2) Is the amber teething necklace all right to use for children? Child teething is a painful growth process so anything that calms and lessens the pain is welcome. 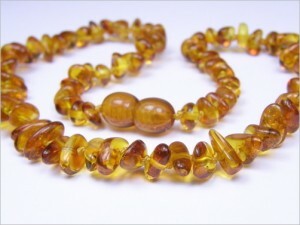 The amber teething necklace has been used for decades as a natural pain reliever for children. Plus, kids love it as it looks great, it glows beautifully and captures everyone’s attention. And babies do love attention. Baltic amber has analgesic functions, thanks to the succinic acid found in the stone’s surface, so everything made from amber has calming and healing effects, amber teething necklaces included. Just make sure the necklace beads are sized properly so the little one won’t choke on them or swallow them, because they are not made for chewing. 3) Is the amber teething necklace okay to be worn during sleep time? Ideally, you should remove the necklace before putting your child to bed, because children tend to move around during their sleep. In order to prevent unfortunate events, do not leave the child unsupervised with a necklace around. 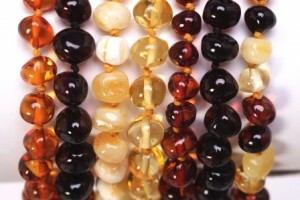 4) Will an amber teething necklace cure the child’s teething pain completely? Parents all over the world testify that this necklace helped a lot with their babies’ teething problems. After all, Baltic amber has analgesic properties and helps in relieving teething pain and its side effects such as restlessness, drooling and irritability. So it is okay to presume it can reduce a large amount of pain or even completely relieve teething pain. 5) Children tend to put things in their mouth or to chew on the necklace. Is this a problem? Actually, it kind of is a problem. Do not let your child chew amber pieces. 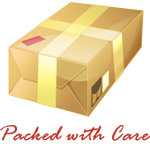 It is best to opt for beads of the best suitable sizes. Also, place the necklace under the child’s clothing so it can rest against the skin. The amber will reach your child’s body temperature so it will soon be forgotten by the little one. And use other aids for teething, too. They can give the child something safe to chew on. 6) Is the amber teething necklace just for girls? No, the necklace has a design suitable for both girls and boys and provides the same benefits no matter the baby’s gender. 7) Is it safe to wear? Safety is a priority when it comes to babies. 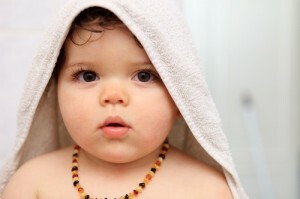 Those who manufacture the amber teething necklace always have their focus on making it safe for your child. Usually, they only use synthetic plastic clasps with screw threads previously glued into the barrel of the clasp. The strings are also knotted by hand so if the necklace breaks, the beads won’t scatter across the room. Keep in mind that teething necklaces are not recommended for children under 36 months old. 8) What happens if the amber teething necklace breaks? Necklace strings are unlikely to break and manufacturers keep this in mind when assembling the products. Usually, if the string breaks only one bead comes off. And that is not a problem, as necklace beads are small and weigh very little, so the baby wouldn’t choke on it. Even if the child swallows an amber bead, it is not poisonous. So there is no need to worry for your child’s safety. "Hi I just wondering if I could get two necklaces for two boys they are 4 months on this Friday and 1 of the boys is starting I hear of you by my sister in law "
"We love our amberpieces! Since my daughter has worn hers she has had very few symptoms of teething! They really do help the little ones!! "